NVIDIA Introduces DRIVE AV Safety Force Field: Computational Defensive Driving Policy to Shield Autonomous Vehicles from Collisions NVIDIA Newsroom 6-8 minutes SAN JOSE, Calif., March 18, 2019 GPU Technology Conference—NVIDIA today bolstered its NVIDIA DRIVE™ AV autonomous vehicle software suite with a planning and control layer designed to enable a safe and comfortable driving experience. A primary component of this software is Safety Force Field™ (SFF™), a robust driving policy that protects the vehicle, its occupants and other road users. SFF analyzes and predicts the dynamics of the surrounding environment by taking in sensor data and determining a set of actions to protect the vehicle and other road users. The SFF framework ensures these actions will never create, escalate or contribute to an unsafe situation and includes actions necessary to mitigate potential danger. Backed by robust calculations, SFF makes it possible for vehicles to achieve safety based on mathematical zero-collisions verifications, rather than attempting to model the high complexity of real-world scenarios via limited statistics. Running on the NVIDIA DRIVE platform, frame-by-frame, physics-based SFF computations are performed on vehicle sensor data. SFF has also undergone validation using real-world data and bit-accurate simulation, including scenarios involving highway and urban driving that would be too dangerous to recreate in the real world. Mitigating Dangerous Situations and Eliminating Collisions The National Highway Traffic Safety Administration estimates that approximately 94 percent of crashes are caused by human error. The industry is working toward zero accidents with the development of autonomous vehicles. Augmenting the DRIVE AV platform with safety features such as path planning, prediction and SFF is a leap forward to achieving this goal. Unique to SFF is its ability to take into account both braking and steering constraints. This dual consideration helps eliminate several problematic vehicle behavior anomalies that could arise if they were separated. The policy follows one core principle of collision avoidance as opposed to a large set of rules and expectations. 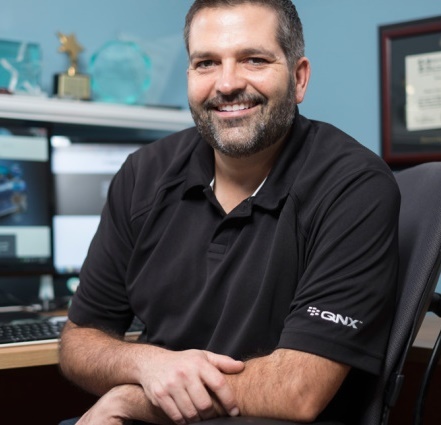 “By removing human error from the driving equation, we can prevent the vast majority of collisions and minimize the impact of those that do occur,” said David Nister, vice president of Autonomous Driving Software at NVIDIA. “SFF is mathematically designed such that autonomous vehicles equipped with SFF will, like magnets that repel each other, keep themselves out of harm’s way and not contribute to unsafe situations.” Open and Transparent SFF is an open platform and can be combined with any driving software. As a safety-decision making policy in the motion planning stack, SFF monitors and prevents unsafe actions. It cleanly separates obstacle avoidance from a long tail of complicated rules of the road. When running on a high-performance compute platform like NVIDIA DRIVE, it adds another layer of diversity and redundancy features to deliver the highest levels of safety. More details on Safety Force Field are available at www.nvidia.com/sff. About NVIDIA NVIDIA’s (NASDAQ: NVDA) invention of the GPU in 1999 sparked the growth of the PC gaming market, redefined modern computer graphics and revolutionized parallel computing. More recently, GPU deep learning ignited modern AI — the next era of computing — with the GPU acting as the brain of computers, robots and self-driving cars that can perceive and understand the world. More information at http://nvidianews.nvidia.com/. Certain statements in this press release including, but not limited to, statements as to: the benefits, performance and abilities of SFF and DRIVE; the ability of SFF to not create, escalate or contribute to an unsafe situation, to mitigate potential danger and to keep a vehicle from harm’s way; SFF making it possible for vehicles to achieve safety based on mathematical zero-collisions verifications and simulations; SFF being a critical leap forward in the development of autonomous vehicles; if all vehicles had SFF, no collisions occurring; SFF helping to prevent the vast majority of collisions and minimize the impact of those that do occur; SFF’s ability to mathematically prove that if all vehicles use it, we can achieve absolute safety and eliminate collisions; SFF being like a protection halo for autonomous vehicle and an open platform that can be combined with any driving software; the ability to see the software in action in the simulation and the vehicle; how the SFF policy works, its abilities and how its capabilities have been validated; the availability of SFF; and automakers and suppliers ability to bring AI-powered Level 2+ automated driving capabilities and smart cockpit functionality that far exceed Level 2 driver assistance solutions, to mainstream vehicles starting in 2020 are forward-looking statements that are subject to risks and uncertainties that could cause results to be materially different than expectations. Important factors that could cause actual results to differ materially include: global economic conditions; our reliance on third parties to manufacture, assemble, package and test our products; the impact of technological development and competition; development of new products and technologies or enhancements to our existing product and technologies; market acceptance of our products or our partners' products; design, manufacturing or software defects; changes in consumer preferences or demands; changes in industry standards and interfaces; unexpected loss of performance of our products or technologies when integrated into systems; as well as other factors detailed from time to time in the most recent reports NVIDIA files with the Securities and Exchange Commission, or SEC, including, but not limited to, its annual report on Form 10-K and quarterly reports on Form 10-Q. Copies of reports filed with the SEC are posted on the company's website and are available from NVIDIA without charge. These forward-looking statements are not guarantees of future performance and speak only as of the date hereof, and, except as required by law, NVIDIA disclaims any obligation to update these forward-looking statements to reflect future events or circumstances. © 2019 NVIDIA Corporation. All rights reserved. NVIDIA, the NVIDIA logo, NVIDIA DRIVE, Safety Force Field, SFF and Xavier are trademarks and/or registered trademarks of NVIDIA Corporation in the U.S. and other countries. Other company and product names may be trademarks of the respective companies with which they are associated. Features, pricing, availability and specifications are subject to change without notice. With the vision to enable self-driving vehicles, reducing fatalities to zero, enabling smoother transportation, and providing mobility for all, Toyota Research Institute-Advanced Development (TRI-AD) and NVIDIA have announced a new collaboration to develop, train and validate self-driving vehicles. 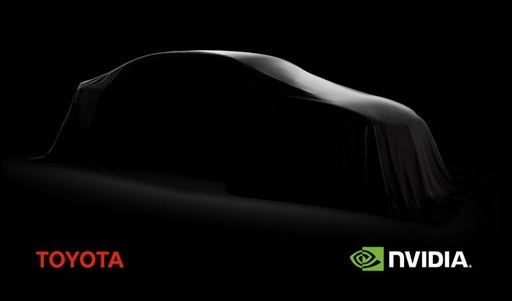 The partnership builds on an ongoing relationship with Toyota to utilize the NVIDIA DRIVE AGX Xavier™ AV computer and is based on close development between teams from NVIDIA, TRI-AD in Japan and Toyota Research Institute (TRI) in the United States.